Be inspired everyday by words that can truly change your life. 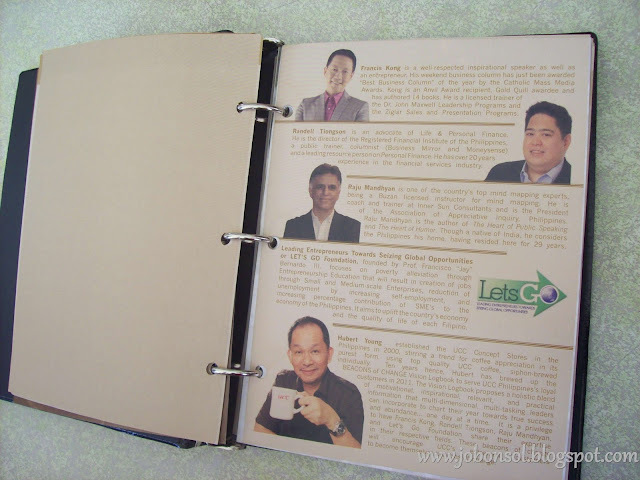 Change can be a daily habit when you have the UCC Vision Logbook where top leaderships share their thoughts - Hubert Young, Francis Kong, Raju Mandyhan, Randell Tiongson and Let's Go Foundation's Prof. Francis "Jay" M. Bernardo. 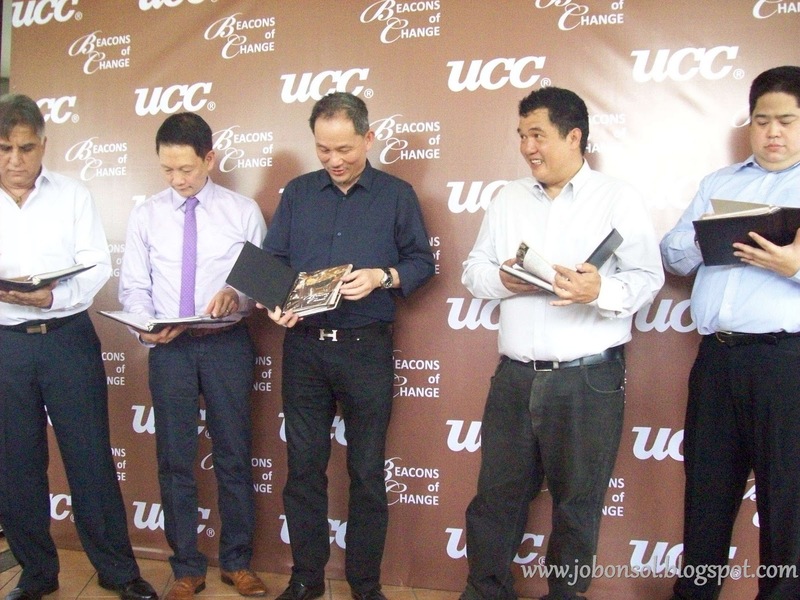 The Vision Logbook of UCC was launched today at UCC Cafe Terrace Forbestown Center, Taguig City to media and friends. I used to read some of the quotes from Francis Kong, Randell Tiongson and the others online and it was a moving experience listening to them in person. Words can truly move you and mindmapping of Raju Mandyhan can really help anybody in need of ideas to express themselves creatively. I have wanted to attend some of the seminars provided by these leadership experts but never had the opportunity because of my schedules. Loving coffee of UCC and wanting to change can now be achieved through this Vision Logbook which can be acquired by accumulating P5,000 purchase receipts from UCC and partner restaurants. 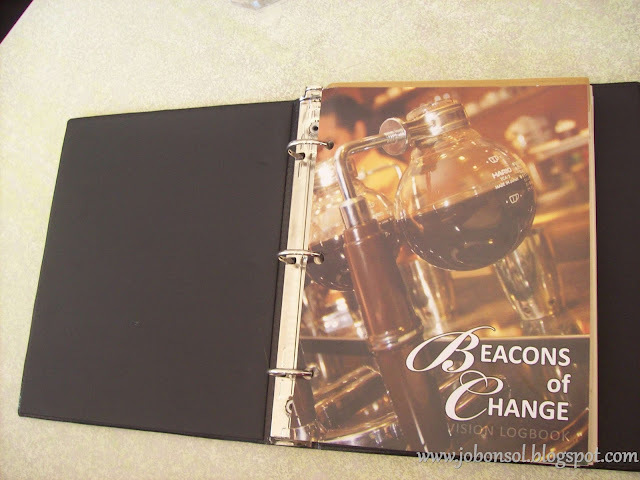 Hubert Young, the owner of UCC Coffee concept shops in the Philippines decided to bring the beacons of change for the Vision Logbook. Building on the theme, "Positive Change and Planning for Change", the UCC Vision Logbook aims to deliver to loyal UCC customers a blend of motivational and practical information to keep on top of people's minds ways to bring about positive change throughout the year. 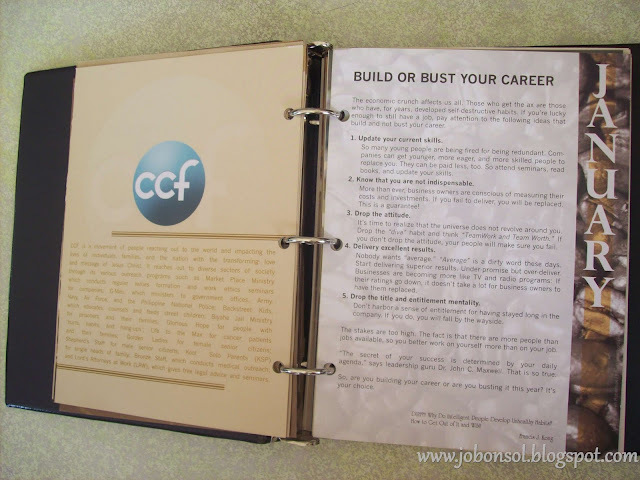 I was thinking of both a planner and a box of motivational quotes for myself and now I can simply enjoy coffee at any UCC concept store and get me this Vision Logbook. 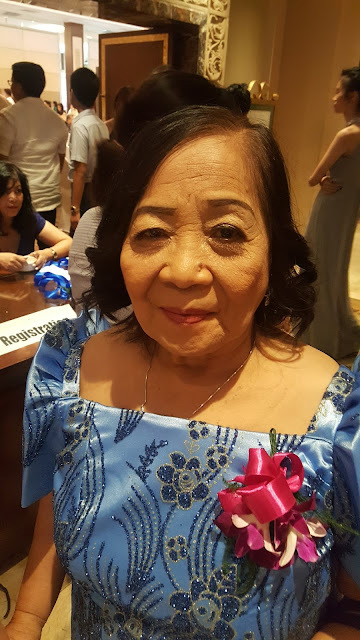 Hosted by the witty and humorous RJ Ledesma, the event was attended by the five beacons of change, Young, Kong, Tiongson and Let's Go Foundation's Prof. Francisco "Jay" M. Bernardo. The basic vision logbook includes 20111 and 2012 calendars and various useful modules like a travel vision logbook, conversion table, notes and Francis Kong's stories, tips and quotations. 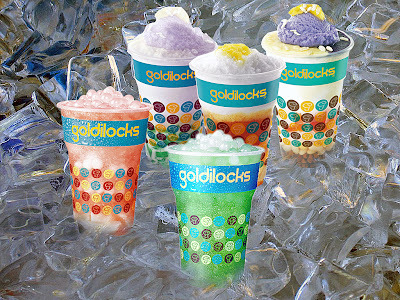 This can be claimed after a UCC customer accumulates P5,000 food or drink purchases at any UCC Coffee Concept Store receipts. More promotional coupons for free dishes or drinks are inside the logbook. A customer may claim the logbook by presenting receipts issued within the promo period (December 15, 2010 to February 28, 2011). A Beacons of Change Card will be given to the customer for a chance to get a seat at the Group Collaboration Talk with Francis Kong (more details posted below). Customers may also avail themselves of additional modules, such as Randell Tiongson’s 12 Easy Steps to Financial Wellness, Mind Mapping by Raju Mandhyan, and the “Entrepreneur’s Workbook for Change” by Let’s Go Foundation. Customers can choose one of these three modules for every P 1,500 single minimum receipt purchase at UCC Coffee Concept Stores within the promo period. As a bonus, UCC is also organizing hour-long Coffee Collaboration Talks. These will give UCC customers the rare chance to meet one of the beacons for a conversation and consultation. For a chance to win a seat at the Coffee Collaboration Talks, customer may drop a stamped Beacons of Change Card stub to UCC Podium tambiolos by 11 PM on the last day of each release week (January 8 for Financial Wellness, January 15 for Mind Mapping, January 22 for Entrepreneur’s Workbook for Change). Ten (10) names will be drawn the following Monday at the UCC Podium Branch to determine who gets a seat to the Group Coffee Collaboration Talk with the Beacon. 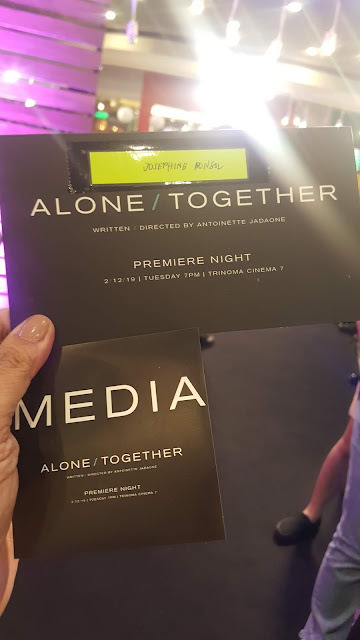 (January 11 for Randell Tiongson, January 18, for Raju Mandhyan, January 25 for Let’s Go Foundation’s Jay Bernardo). The schedule for these Talks will be posted at the UCC Branches by January 2, 2011. UCC PODIUM ADDRESS: 18 ADB Ave., Ortigas Center, Mandaluyong, Metro Manila. There’s another bonus awaiting those who get all three add-on modules. Each customer who has a Beacons of Change Card with stamps and UCC Manager signatures for all three modules within their respective release weeks may drop their stub in the UCC Podium tambiolo on the week of January 23-29, 2011, by 11 PM on January 29. Ten names will be drawn on January 31, 2011. Winners will get a seat to the Group Coffee Collaboration Talk with Francis Kong. Five percent of the proceeds from the UCC Beacons of Change Vision Logbook program will be donated to Christ’s Commission Fellowship, a movement with outreaches for ethics and values formation for government, outreaches for prisoners, street children, cancer and substance abuse patients, and other sectors of society. The program is a way for UCC to enable some of our country’s top beacons of change to help others become themselves beacons of change, one day at a time. Now, that's a great way to plan for the year ahead. Enjoy coffee, keep those receipts, grab yourselves the UCC Vision Logbook and earn chances to get a seat to Coffee Collaboration Talks with top leadership experts!